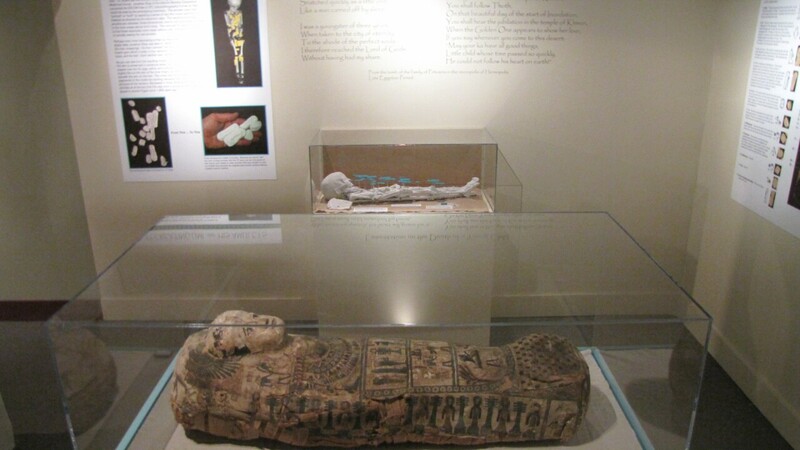 Northern Kentucky University professors and students used its newest technology to help solve the mystery of Umi, an Egyptian child mummy at the Cincinnati Museum Center. 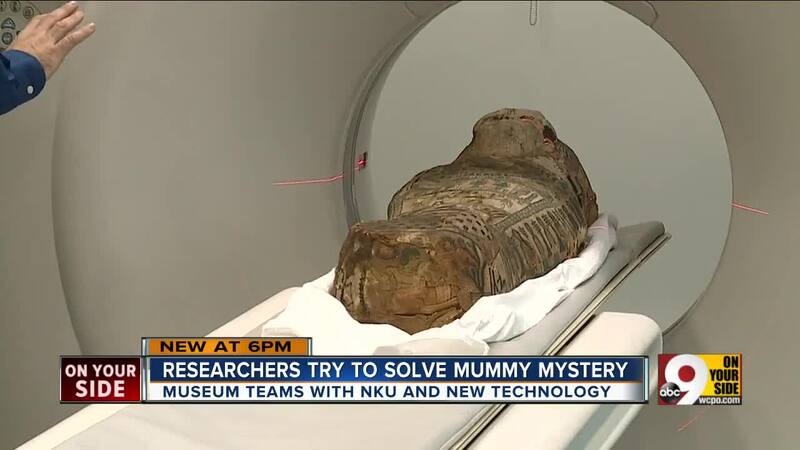 HIGHLAND HEIGHTS, Ky. — Northern Kentucky University professors and students used its newest technology to help solve the mystery of Umi, an Egyptian child mummy at the Cincinnati Museum Center. Experts believe Umi to be between 3 and 5 years old based on the child’s teeth and jaw, but they do not know how the child died. That’s something Bob Genheimer, Cincinnati Museum Center’s George Rieveschl curator of archaeology, said the center hopes to learn from new scans made Thursday at NKU’s Health Innovation Center. “The last scan also shows a dusting along the bones of what looks like cotton fuzz. We think it may be from insects, but we don’t know for sure without detailed images,” Genheimer said. Experts from NKU’s College of Health Professions took CT scan and X-rays on Umi. With that, they can create 3D replicas of items placed in the linen surrounding Umi’s body. The last scan of Umi’s body took place nine years ago. The new technology mixed with more detailed images may provide new information. “With this scan, we will need to maximize the contrast because there is no fluid or organs. The skin has been treated with oils to preserve it. This gives my students a rare opportunity to take what they have learned and adapt it for archaeology,” radiologic sciences assistant professor Jason Applegate said. Applegate said NKU is one of few universities with a CT scanner. Radiology and public history students will be on hand to observe the scanning process. "It truly is a once-in-a-lifetime experience," Applegate said. "You don't get this experience but once in a lifetime, and I'm thankful that me and the rest of the students have this possibility." The 3D printer will be used to recreate 24 amulets placed over Umi’s body, according to a news release. The university will recreate a brand new replication of the mummy’s skeleton to replace one made nine years ago as well. "We have a 3D-printed copy of Umi from the CAT scan in 2009, but it's on a material that's really delicate," Genheimer said. "It's like gypsum or wallboard." All of the replications will be on display at the Umi exhibit at the Cincinnati Museum Center which is expected to open in the spring.